Ordsall M5 Dry & Steam Rug & Carpet Cleaning Services | Quality Property Care Ltd. 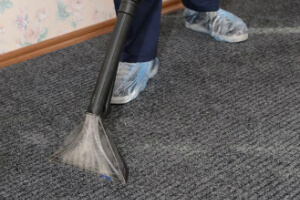 Hiring a professional rug and carpet cleaning company, and using its services routinely is a very good plan, especially if you or someone in your household suffers from pollen or dust allergies or has breathing problems. 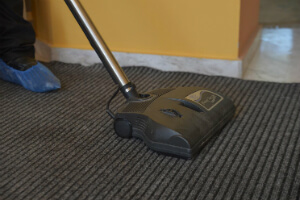 The quantities of dust mites, dirt, dust and germs in our rugs are actually quite alarming, so don’t hesitate to hire Quality Property Care Ltd., which offers a high quality carpet and rug cleaning service in Ordsall M5 and the area. The carpet and rug cleaning company can also offer: blinds cleaning, curtain cleaning, drapery cleaning, as well as mattress cleaning and bed bug mattress treatment, which will help get rid of the dust mites, allergens and kill off all bacterias. The company delivers commercial and residential rug and carpet cleaning at a competitive price tag. To get a 100 % free price offer in less than 2 hours, just call up the expert customer care support or use the on-line form. The first thing you have to do to reduce the stain reach and the possible damage, is to blot out the spot with a piece of paper or a cloth. From edges in blot out the stain and check the paper or cloth to see if it’s transferring. This will draw out most of the spot and leave just a small quantity for us to remove which make our job easier and your carpet’s chances a lot higher. Once we get there we examine the carpet and figure out which detergent will do the job. The rug is cleaned with a hoover to remove any debris and get ready the fibers for cleaning. Once hoovered we apply the detergent on the spot and let it sit for a while so it can react with the spot and help lift it up from the fabric. To remove it all we use a narrow nozzle and our powerful hot water extractor which blasts the spot with a hot steam jet while at the same time drawing all of the filth and gunk, as well as water, out with a strong vacuum. Nothing of the stain and detergent is left, with only about 5% of the moisture used to thoroughly clean left to evaporate the natural way. Dependent on the day and thickness of your carpet, the process should take anywhere around 3-4 hours. Steam carpet cleaning: hot water extraction method with deep action. The method is ideal for old carpets and synthetic. Dry carpet cleaning is a dry foam carpet cleaning method that uses no liquids and prevents delicate rugs from tearing and wasting. The modern carpet cleaning Ordsall M5 approaches are now accessible and affordable ! Not like ordinary synthetic carpets, rugs can be a challenging task, when it comes to comprehensive and proper cleaning. Our rug cleaning specialists, though, are well-trained to cope with all types of carpets and rugs: cotton, wool, synthetic, linen, silk, viscose, suede, chenille, plush, nubuck, leather and acrylic. Depending on the fabric kind, the professional carpet cleaners in Ordsall M5 chose the most suitable method. Notice: we always examine the detergents on the backside of the rug to be sure it will not get wasted. Remember that Quality Property Care Ltd. carpet cleaning company, though, performs only with tested and 100% eco-friendly cleaning detergents with no chemical substances. Last, but not least, the carpet cleaning teams can also provide: Bed Bug Mattress Treatment Mattress Cleaning Drapery Cleaning Curtain Cleaning Blinds Cleaning. Bear in mind that if you order more than one service, we will make a special discount for you! Get your deal now and don`t get worried about the hygiene at property tomorrow! We would be happy to assist you! To book our professional cleaning service call 0161 823 0325. Our specialist team of customer care agents is out there, helping you with the booking or giving answers to any questions you may have. We are available during weekends and bank holidays free of additional cost, with same day availability and flexible booking . Be sure to follow our web site and check back regularly as we often have offers and deals which can save you up to 35% on your next offer. Don’t miss a chance to get the best carpet & rug cleaning in Ordsall M5 at the best prices in the Greater London area.